The 31-year-old went from England’s number one in World Cup qualifying, to missing out on the squad for Russia altogether. That was as a result of two seasons out on loan from Manchester City, out of sight in Serie A with Torino, and then a mixed spell with West Ham. But, having competed a permanent switch to Burnley, where he made his debut in Thursday night’s goalless draw at Istanbul Basaksehir, Sean Dyche feels the former Shrewsbury man isn’t on the wane - he has more potential to tap into at Turf Moor. 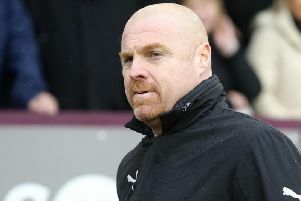 Dyche said: “I think he enjoyed the fact he's come into a group who accept people very quickly, and we probably weren't planning on him playing. "Anders (Lindegaard) had a sore thigh so he came straight in, and I thought he did very well. "We know the experience he's got, I still think he's a keeper who's got more, he's coming into his prime.